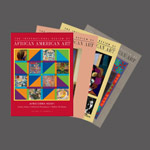 Subscriptions to the International Review of African American Art can start with the current issue or the next, upcoming issue. If you would like for your subscription to start with the next issue, please say so in the comment field when you go to Check Out and place your order. Otherwise, your subscription will start with the current issue.